Tandoori Burger Recipe – Spice it up! 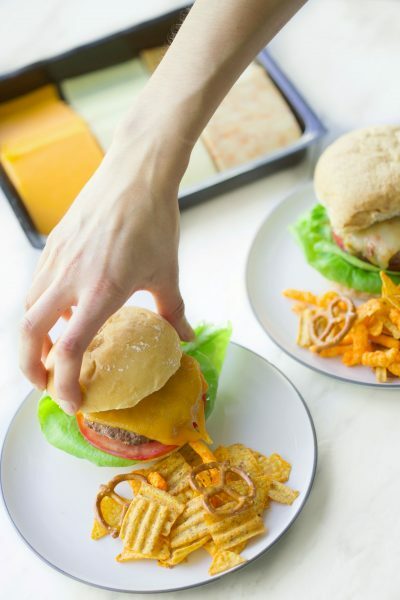 Here’s a spicy twist on a traditional burger recipe. Being East Indian, I always have a tendency to add cultural spices often found in my Eastern cuisine to my Western dishes. The result? A delicious burger with hints of cumin, coriander and ginger. Now, first things first when it came to choosing the protein with this recipe I knew I wanted to go for extra lean ground beef. This type of beef has a maximum fat content of 10%. 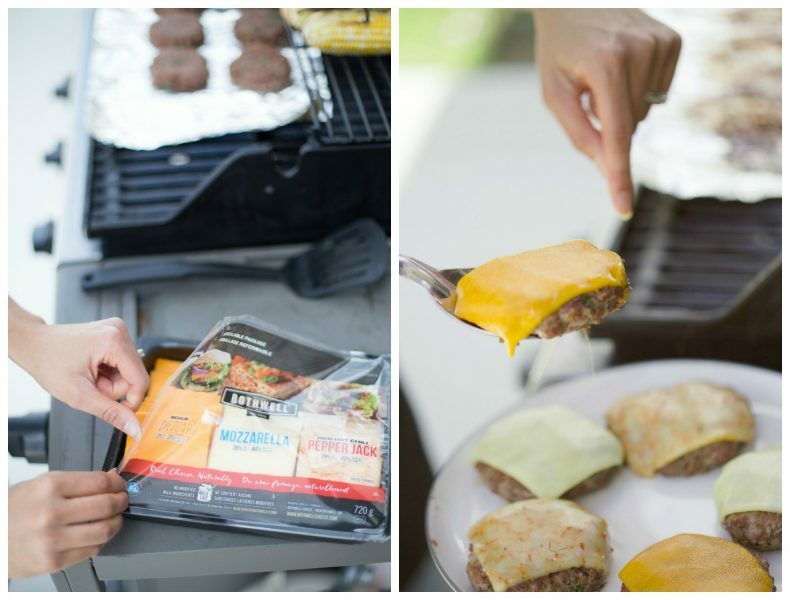 In comparison, regular ground beef has a maximum fat content that can reach up to 30%. That’s a big difference and over years of consumption, can make the different between a healthy heart and a not-so-healthy heart. Dietitians of Canada encourage consumers to purchase lean cuts of meat to maintain heart health, manage cholesterol and to help keep saturated fat levels at bay. Beef is nutrient rich, offering 14 essential nutrients such as iron, zinc and B vitamins. It’s high in protein which helps us to feel full longer. You can enjoy local beef almost anywhere you live – look on the package label to know if your beef is locally produced. If it’s not labeled, ask a butcher or store manager! Okay, okay. Enough with the nutrition education! I know what you all want. Here’s the recipe! Optional Garnish: lettuce, tomato, yogurt* and your choice of sliced Bothwell Cheese. 1. In a small bowl, whisk egg until well beaten. Set aside. 2. In another small bowl prepare your paste by stirring together tandoori paste, cumin, coriander, chilli flakes, salt and pepper. Set aside. 3. In a large bowl, combine meat with onion, ginger, fresh cilantro and bread crumbs. Add in whisked egg and tandoori paste mixture. Combine well. 4. Shape into 10 patties, or, make them bigger or smaller based on what you feel will work best for you. 5. 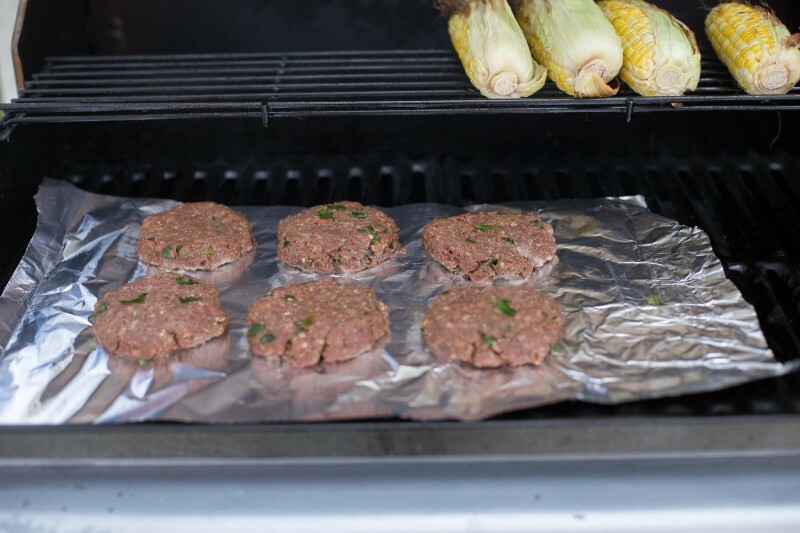 In a pan or over your bbq cook burgers, about 4 – 5 minutes on each side over medium – high heat. Be sure to check the internal temperature for best food handling practices; you want to reach 160 degrees F.
6. 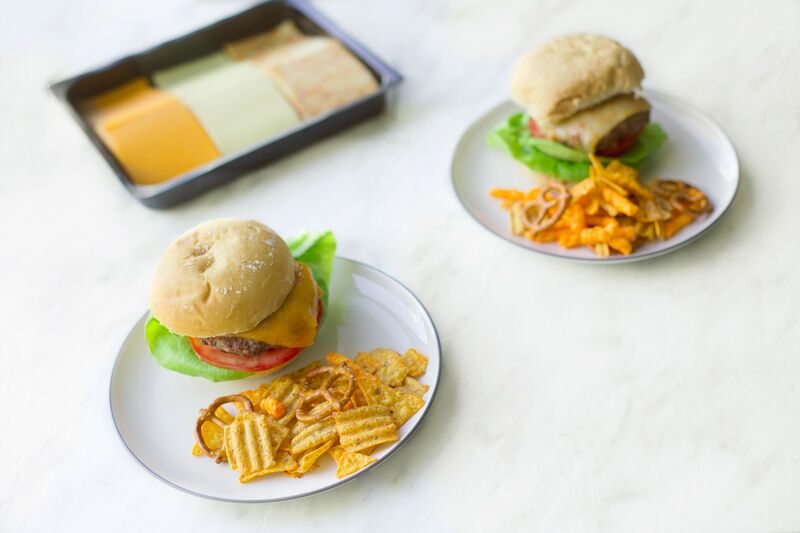 Serve over a bun with your favorite lettuce, tomato, some plain yogurt* and your favorite slice of Bothwell Cheese. *Note: I like to season my yogurt with salt, pepper, lemon juice and red chili powder for a bit of a kick!